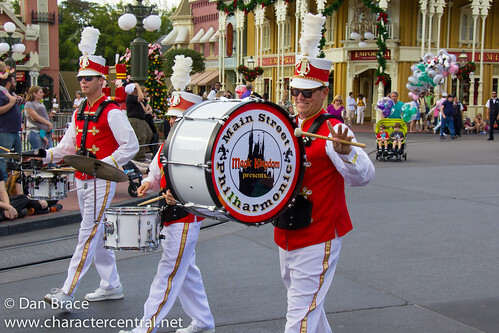 Usually on Main Street, but sometimes elsewhere in the park, the Main Street Philharmonic are the resident band of the Magic Kingdom. Stand and listen to some of the best classic Disney themes. Make a request, and it might just get played!